The Red Cross says that more than 1,200 people are confirmed dead as Haiyan, one of the most powerful-ever tropical typhoons, blows through the Philippines. 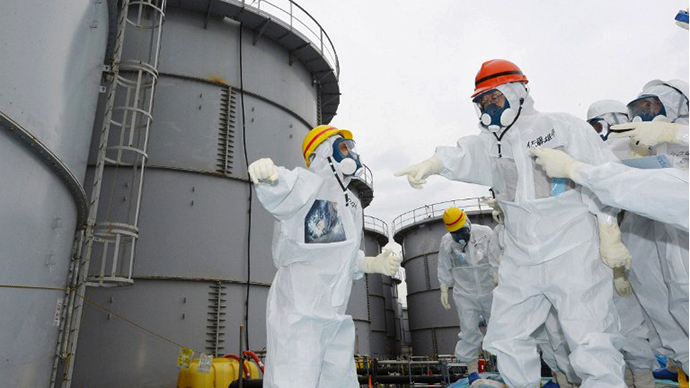 Local authorities earlier put the death toll at nearer 100. The Philippines Red Cross has announced that at least 1,000 could have been killed by Haiyan super typhoon in central Tacluban city and the region around it alone, while previously Captain John Andrews, deputy director general of the country's Civil Aviation Authority, reported that 100 bodies had been found on the streets of Tacloban in Leyte province. 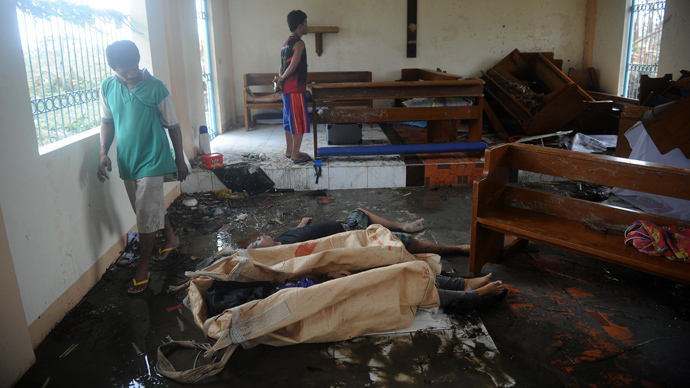 In the neighboring Samar province 200 are declared dead, Reuters reported the Red Cross as saying. When asked by ABS-CBN television Saturday about the number of victims of the typhoon, Energy Secretary Jericho Petilla said "I think hundreds." The category 5 super-typhoon Haiyan, one of the strongest ever registered, has caused havoc in 36 provinces of the Philippines, with gusts of wind reaching the incredible speed of 315 kilometers (195 miles) per hour. The worst affected areas are the eastern islands of Leyte and Samar, which sustained the heaviest damage Friday . Nearly all houses in Tacloban, which has a population of about 220,000, were damaged or destroyed, and casualties were feared to be massive, a disaster official told Reuters earlier, without announcing any casualty figures. Many as yet unidentified bodies have been found on the roads. The government earlier ordered more plastic body bags to be delivered to Tacloban. Rescue operations are being hampered by fallen trees that are blocking the roads, which in some regions went underwater completely. Many ferry services and local airports in the central Philippines remain closed, blocking the delivery of vital aid supplies. The view of the storm from the International Space Station was posted by one of its NASA astronauts on Saturday. A total of 13 airports have been shut down, with close to 450 domestic and eight international flights suspended. Authorities and telephone companies have pledged to restore services within 24 hours. "The last time I saw something of this scale was in the aftermath of the Indian Ocean tsunami," Sebastian Rhodes Stampa, the head of the UN Disaster Assessment Coordination Team, told Reuters. Stampa had been sent to Tacloban, some 580 kilometers southeast of Manila. All streets of the city are devastated, being full of debris, broken posts and sheets of roofing metal. 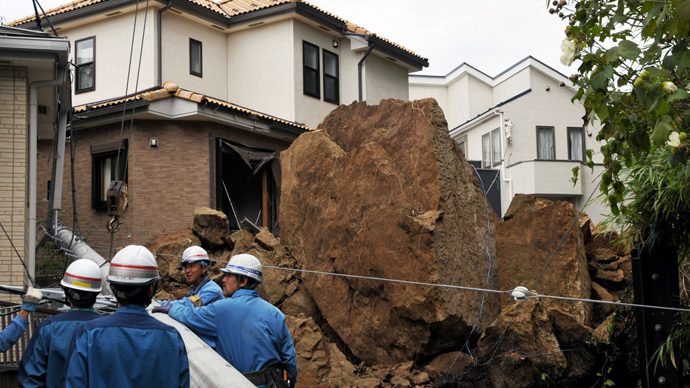 "Almost all houses were destroyed, many are totally damaged. 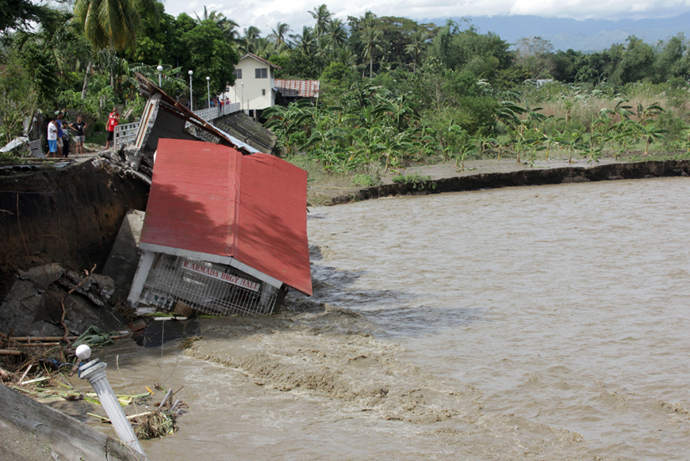 Only a few are left standing," said Major Rey Balidoa, a spokesman for the national disaster agency. 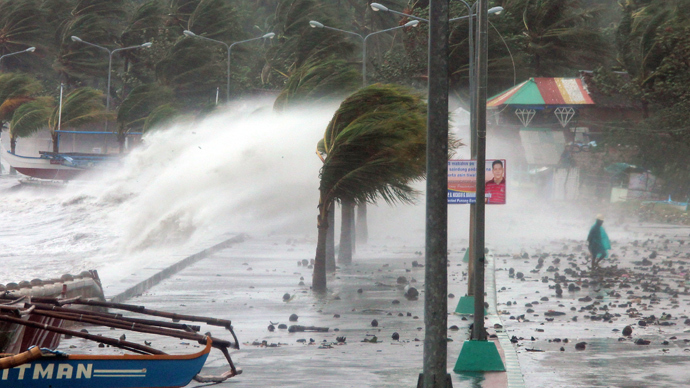 On the island of Samar, the typhoon forced millions to flee the area. The storm is now moving out of the Philippines, having devastated property, triggering landslides and floods and crippling power and communications on several islands. "[The storm] is very powerful," Roger Mercado, governor of Southern Leyte province, told DZBB radio. "We lost power and all roads are impassable because of fallen trees. We just have to pray." 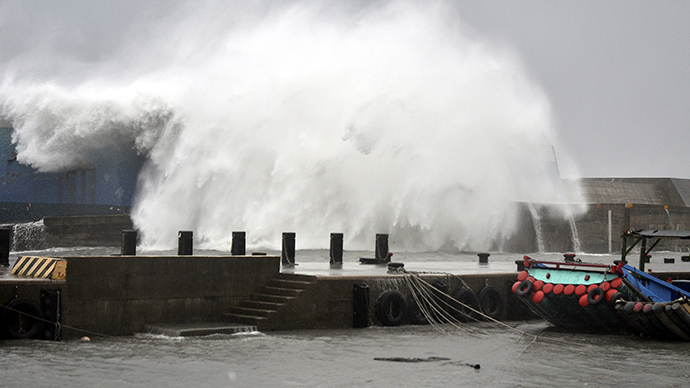 According to forecasters, the storm is expected to pick up strength over the South China Sea on its way toward Vietnam, where over 300,000 people have been evacuated from coastal areas in 15 provinces. The Philippines experiences several typhoons every year. In 2013 there have already been 24 of them, with Haiyan becoming the second category 5 typhoon. Last year Typhoon Bopha devastated three towns in Philippines' southern Mindanao province, killing 1,100 people and resulting in a record $1 billion damage.